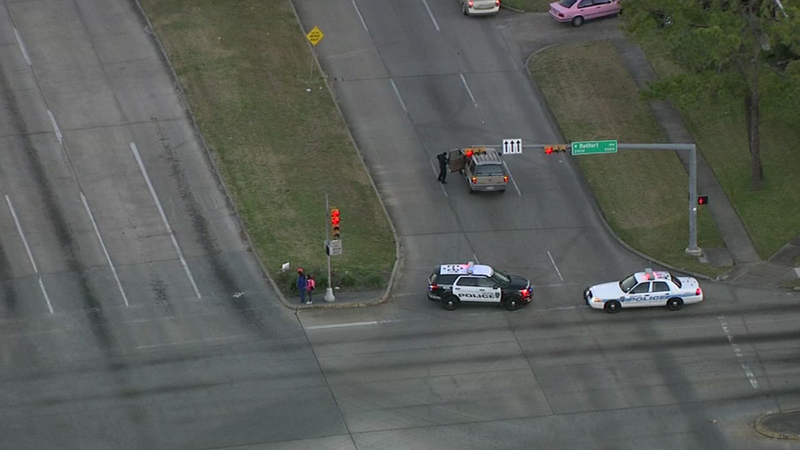 HOUSTON (KTRK) -- A 70-year-old man is dead after an accident this morning in west Houston. We're told a pedestrian and a vehicle are involved. The accident happened in the 5900 block of West Bellfort Avenue around 6am. Police say the driver of a gold Ford Explorer, traveling northbound on Hillcroft, passed through the West Bellfort intersection and struck the man who has not been identified. The man had left a grassy median and attempted to cross Hillcroft. Police say he was not in a crosswalk. Houston police say the driver remained at the scene and was questioned and released. Police say it appears the pedestrian is at fault.